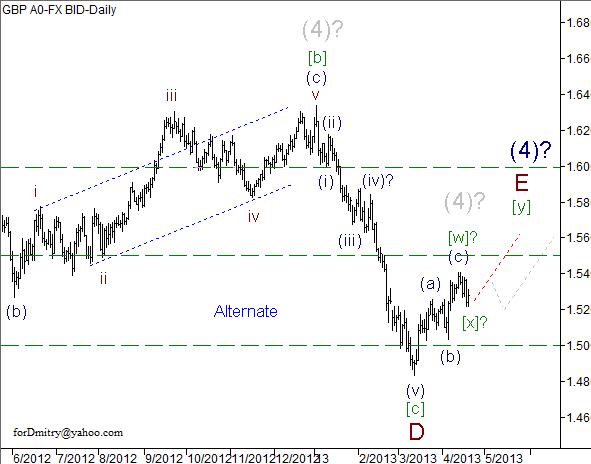 We may assume that Euro is forming a descending correction (2) of [C] in the form of zigzagA-B-C of (2) of [C]. 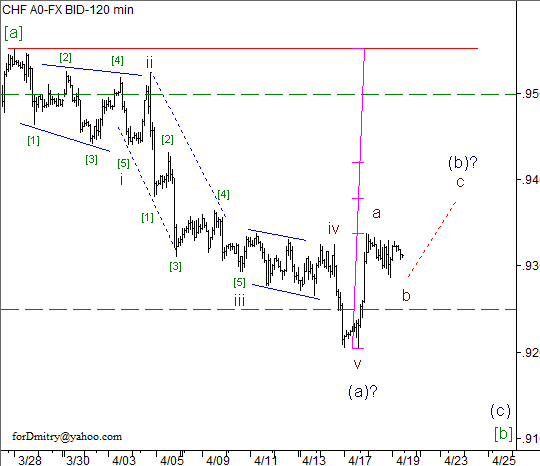 We can’t exclude a possibility that the price is forming a correction B of (2) in the form of zigzag inside a large descending zigzag(2). 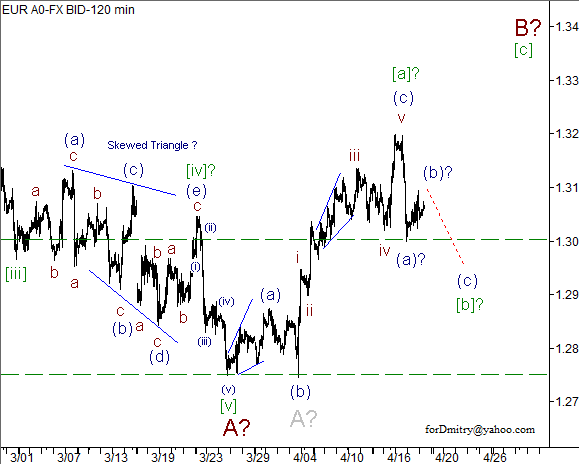 We may assume that Euro started forming a local descending correction [b] of B, which may take the form of zigzag. 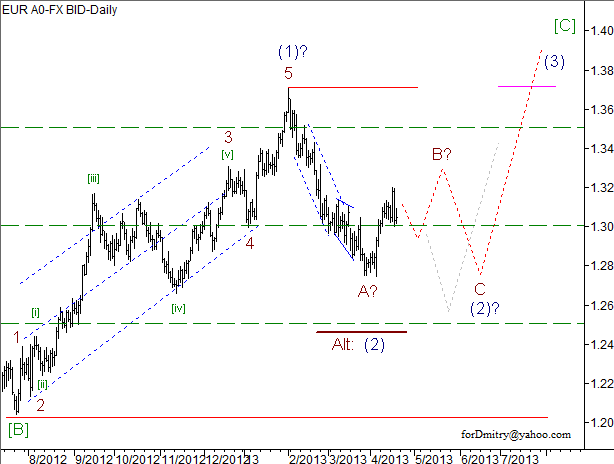 We may assume that Pound is forming a final ascending wave E of (4) of a large horizontal triangle(4). 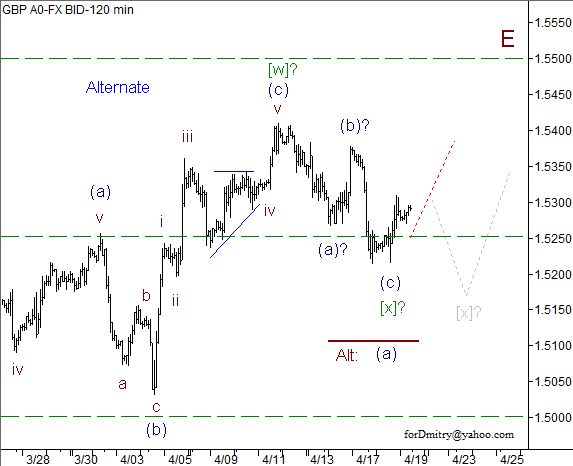 We may assume that an ascending wave E is taking the form of double zigzag. 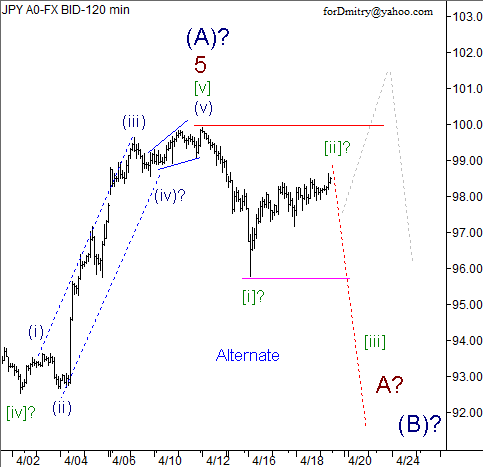 There is a possibility that the price is finishing a local descending correction [x] of E (or its first part, wave (a) of [x]). 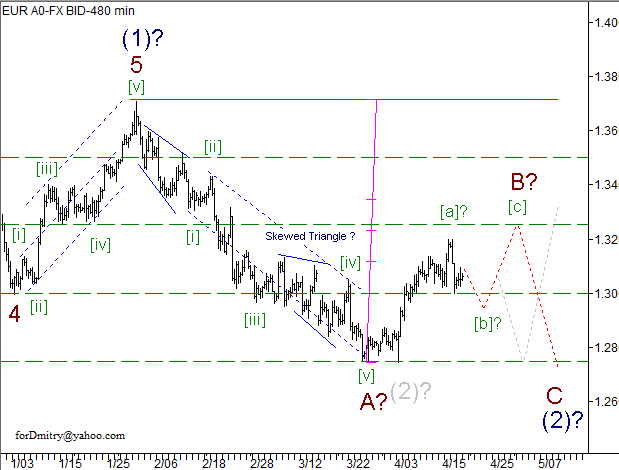 We may assume that an ascending correction B of (5) is taking the form of zigzag and may be followed by a final descending wave C of (5). 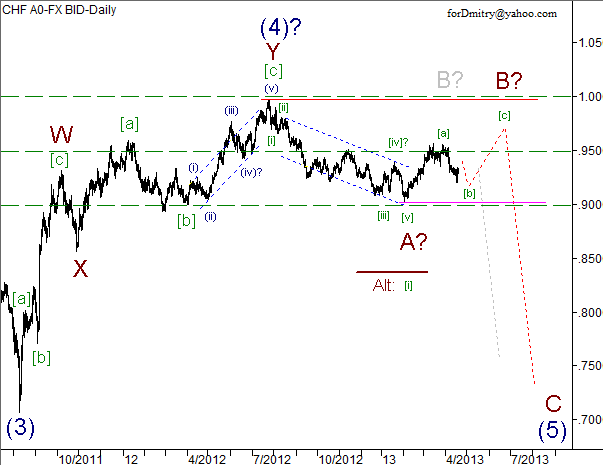 We may assume that a descending correction [b] of B is taking the form of zigzag. 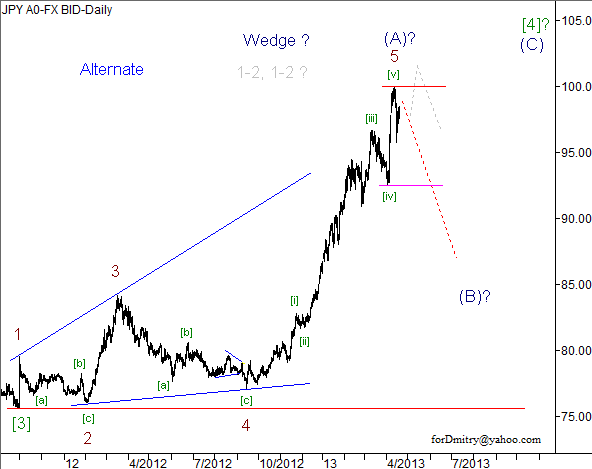 We can’t exclude a possibility that a local ascending correction (b) of [b] may also take the form of zigzag. 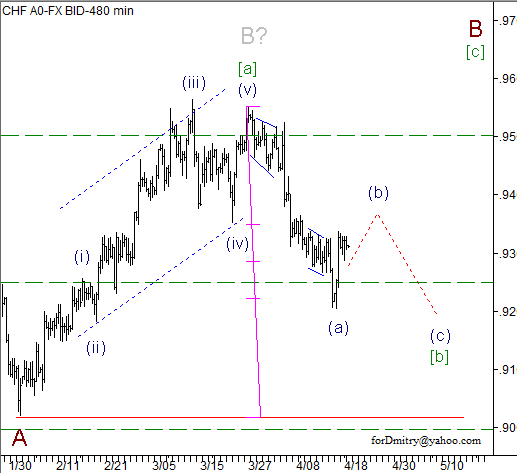 According to the chart structure, after finishing an ascending wedge(A) of  the price is expected to form a descending correction (B) of . 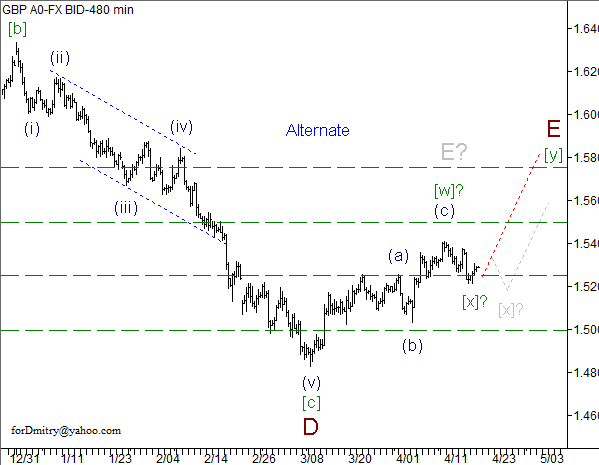 The chart structure implies that the pair completed an ascending impulse 5 of (A). However, it hasn’t been confirmed yet. 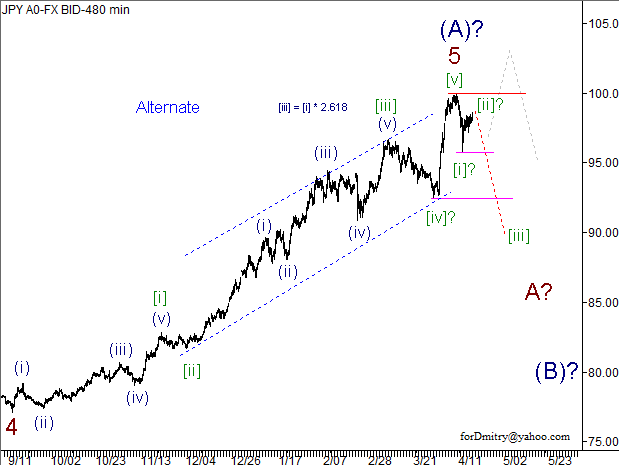 If our assumption that the price started a descending wave (B) is correct, then later we can expect the pair to form a local ascending correction [ii] of A of (B) and continue falling down.